GungHo Online Entertainment releases a new tower defense/building management hybrid for iOS and Android. Take on the role of Landlord as you manage and customize your tower and tenants. Villainous monsters will attack your tower, and it’s up to you and your citizens to fight them off. Your tenants will interact with one another – these interactions range from fights to flirtations. Keeping the peace will earn you in-game cash rewards. 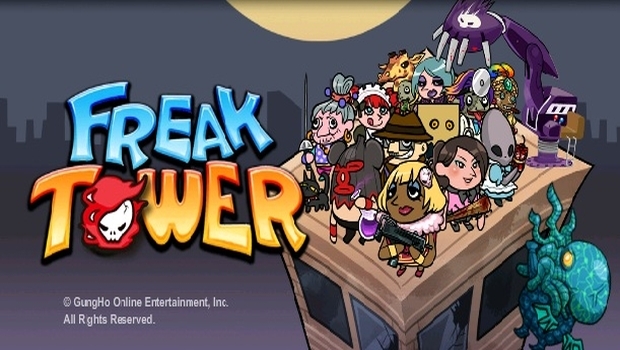 A combination of the popular building-management and tower-defense genres, Freak Tower features a wild and colorful environment with a quirky cast of oddities. With the threat of an ancient evil lurking, players take up the role of landlord and must defend their offbeat tenants from the occasional prowling monster bent on destroying their tower, all while improving their building, managing the businesses within, and keeping the crazy tenants in line.